The women of a small Welsh farming community wake one morning to find that their husbands have gone. Soon after that a German patrol arrives in their valley. Evoking the lonely tragedies of farm life, and above all the vibrant land of Wales, this is a tale of two brothers who never go anywhere. They stay in the farmhouse on the English/Welsh border where they were born tilling rough soil and sleeping in the same bed, touched occasionally by the advance of the 20th century. ‘Starts as a curiosity, quickly becomes an entertaining mystery, and concludes with a powerful revelation of deceipt and inhumanity‘. Quoted from The Newsletter of the Sherlock Holmes Society of London No 302 – April 2010. The original super-sleuth, Sherlock Holmes, is back on the case – When James Wilson retires from journalism, he decides to settle down in Herefordshire with a room-mate, a Mr Cedric Coombes, and at first thinks little of his new friend’s eccentric behaviour. But he can’t shake the feeling that he knows him from somewhere else. As Coombes displays his magnificent deductive prowess, and becomes embroiled in the police investigation of the apparent murder of a man in bathtub, Wilson, or should we say Watson, begins to wonder just who this Coombes really is . . . The Kilverts, originally a Shropshire family, had migrated to Bath in the eighteenth century. Francis Kilvert spent his early years at Harden Huish, was educated privately, went in due course to Wadham College, Oxford, and entered the Church. In November 1977 Kilvert became Vicar of Bredwardine. His Diaries paint a unique picture of country life in mid Victorian times. Illustrated with several period photographs, this book is a collection of Eddie’s reminiscences of his life as an evacuee in Hay on Wye. Richard Booth offers many reflections on a society increasingly centralized and dominated by distant authority whether bureaucratic or capitalistic. His views are controversial, provocative but unfailingly entertaining. Monarchic, socialist and separatist, he is politically incorrect four times over – and a rare free spirit in a world of increasing orthodoxy. He tells the story of Hay-on-Wye, a small town on the Welsh-border that became a mecca for book enthusiasts and collectors from all over the world. The hilarious events surrounding the town’s Declaration of Independence from Great Britain are described, as are the author’s more serious thoughts abut rural regeneration. Possible holiday reading relating to the surrounding area. A jumble, in no particular order, of books and electronic publications – Further suggestions welcome! 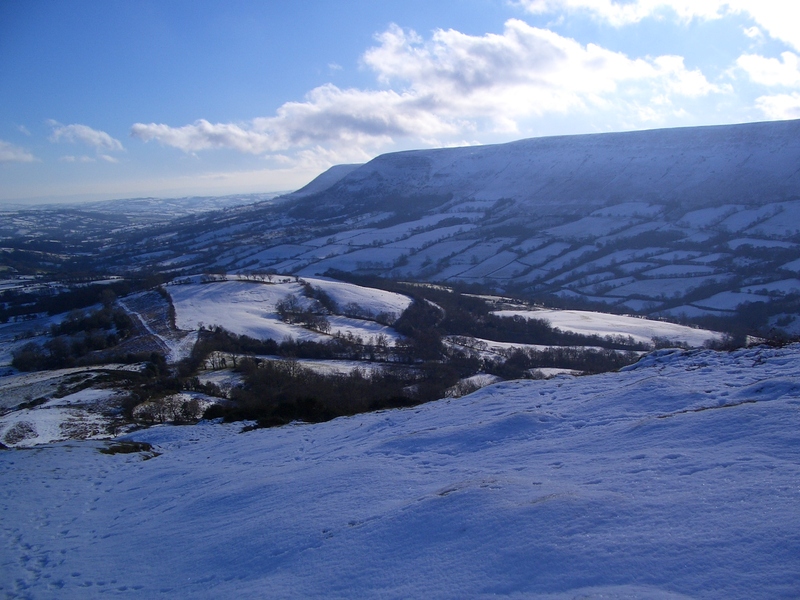 A short guide giving an insight into the villages, sites and walks of interest in the Golden Valley and Welshborderland, offering an overview of the history and heritage of this peaceful area of outstanding natural beauty. (Not intended as an exhaustive or definitive catalogue of the area’s history!) An excellent new publication. This is the most detailed account ever published relating to the folk beliefs and superstitions of the people of Herefordshire. Covering subjects as diverse as witchcraft, charms and seasonal customs. First published in 1912, it remains a classic of English folklore. ‘Land has ceased to be either a profit or a pleasure. It gives one position, and prevents one from keeping it up.‘ – Oscar Wilde (1895). ‘I am in an awful state of depression which nothing but champagne can remove.‘ – Johnny Arkwright (1870) the largest landowner in Herefordshire at the time. Of interest to those who have visited country houses in Britain and wondered why they ceased to be homes, this title uses the real-life period drama of Johnny Arkwright (1833 – 1905) to illustrate how landowners saw their world disintegrate and disappear. Having been fascinated by all things that epitomise the British countryside and its many facets since childhood, Marion Freeman has long been interested in bee boles and bridges, cairns and canals, maypoles and markets – the list is endless and a never ending source of research and investigation. Chief amongst these are the many countryside and churchyard crosses that can be discovered throughout the land. Built in a variety of styles and consisting of a selection of materials, they stand (in spite of order from Oliver Cromwell during the Commonwealth period to destroy them) in different stages of preservation, an historical and nostalgic throwback to the past. Hereford has a darker side to its history, filled with strange – and sometimes unlikely – true tales. Was King Arthur a Hereford man? Why was its patron saint murdered by his would-be father-in-law? Why did another of its saints become the only saint to die excommunicated? Was a Bishop of Hereford involved in the murder of a king by the most frightful method imaginable? Did bones from the Cathedral graveyard really cure every disease know to man? Was a ghost really responsible for the destruction of the cathedral’s west front? Was the Hay Poisoner really guilty? Was a Hereford clerk the rightful Kind of England? These, and many other strange stories, will be revealed in this book.